Three levels of difficulty ("The Journey" only). Amazing plot and character developement. Numerous skills and Personas to develop. You can't control the actions of your allies. Soundtrack is limited and repetative. RPG and Dating Sim all rolled into one amazing game (Two games, if you count "The Answer"). This game is long. If you include "The Answer," the game will involve over 100 hours of gameplay. Additionally, FES is not a game that you can sit and play for only a few minutes. A "quick" game for FES usually involves a few hours. For "The Journey", the gameplay of FES is pretty much split into two sections. The first part is the normal RPG portion, which occurs every night at the stroke of midnight (or the Dark Hour). During this aspect of the game, you fight enemies, called shadows, while climbing Tatarus and bosses when you reach certain floors of Tatarus or when the moon is full (usually happens near the end of each month). The battles are set on a turn-based system, which can be extended (gain an extra turn) by exploiting an enemy's weakness, knocking an enemy down, or getting a critical hit. However, you are only able to control the main character's actions (although, you can advise your allies on certain tactics to take). To make the battles "easier" (by no means is the game easy), you can equip them with weapons (basic or fused, "special" weapons), armor, items, and various Persona. "A Persona is a second soul that dwells deep within a person's heart. It is an entirely different personality that emerges when a person is confronted with something from outside his world." Basically, Persona allows the characters (once evoked) to have special abilities such as protection from certain elements or the ability to cast spells. Although you can only have one Persona equipped at a time, you can store more in your inventory (up to a max of twelve once you reach a certain level) and the main character can switch between them during battle. 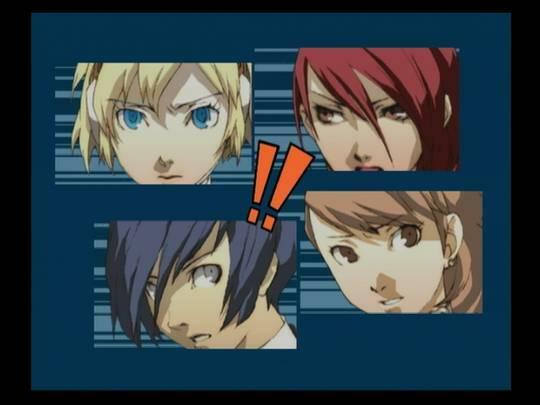 The other characters in the game only have the ability to control one Persona, which will later morph into a more powerful one. 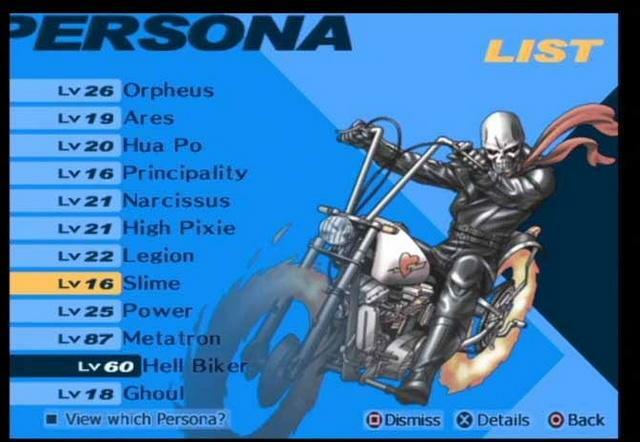 Additionally, at a certain point in the game, all of the Personas that you have created can be stored in the Persona Compendium (which can then be purchased with Yen). 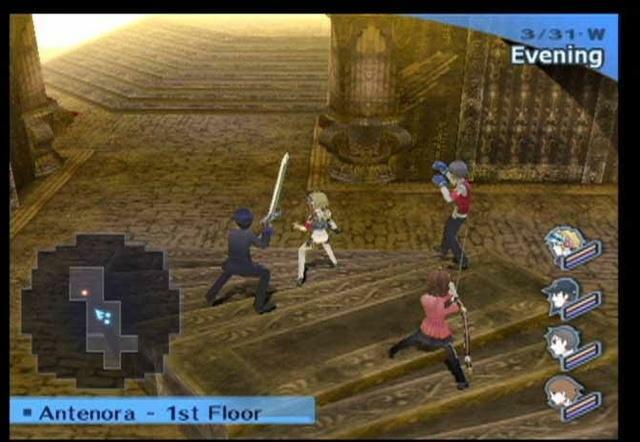 Overall, there are 170+ Personas that can be obtained after battles or created by combining them in the Velvet Room. Each Persona belongs to one of twenty-one Tarot Major Arcana, has specific inherited skills, skills that can be obtained during fusion, and stats that are increased by various methods. Now, this is where the second aspect of the game is involved. 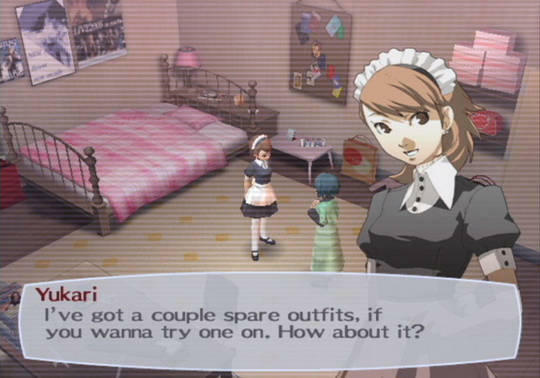 To create more powerful Persona and to gain extra experience for the Persona that you fuse in the Velvet Room, the main character can form Social links with other NPC's. Basically, you become stronger with the more friends and deeper relationships you create. Therefore, during the daytime (which is divided into during school, after school, and evening) you have conversations with people at your school and in the surrounding city. The more you talk to them, the higher their affection for you will increase. In some cases, you may even start romantic relationships. Once you have MAXed out a relationship (getting it to Level 10) you will receive an item that allows you to fuse a new Persona. Although most RPG's are not difficult with the proper preparation (increasing the characters levels, learning advanced spells, buying the best weapons/armor), this game can be hard at times. The Persona fusions and spell inheritance can be frustrating, difficult, and hard to master. If you are trying to create certain Personas with specific skills, you will need to have pencil, paper, a clip board, and the Fusion Table from the back of the manual (or download a more advanced one from online) handy. Having only one year to fully MAX out all of the Social Links requires precise planning and extreme dedication (I highly suggest following a guide if you plan to undertake this task). The Battle-system involving weakness can be frustrating. You have to remember that if the main character dies (even if other allies are still alive) it is game over. When you encounter enemies strong in an element or attack style that the main character is weak against, you could find yourself having to start over again (unless you are playing on easy). Also, FES has one of the hardest hidden/special bosses I've ever encountered in an RPG. In fact, the Persona that you receive for MAXing all of the Social Links has been specifically tailored to help defeat her. All of these challenges may turn some game players away from FES. However, I found the challenge refreshing and counted it as a positive aspect of the game. While playing the game, you may want to have your TV remote handy. At first, I really enjoyed the soundtrack. I felt that the tempo set the mood for the game. I appreciated that the soundtrack had a very Japanese feel to it. However, after about an hour of exploring Tatarus, I turned the volume of the TV down and even muted the sound during extended hours of play. The soundtrack is limited to a few songs that are repeated ad nauseam. The few songs that the game has are a mixture of hip-hop, rap, and techno with choruses that are comprised of repeating "Baby, baby, baby!" and "Doo, Doo, Doo!" To add insult to injury, there is a music shop in the mall that you are unable to purchase new tracks from. The voice acting is very good (except for Ken, his voice is extremely annoying). The voices seem to match the characters that they are portraying and you can understand everything that is being said. During plot development, you will want to increase the volume or un-mute the TV, so that you can hear what the characters are saying (Despite the fact that there are subtitles). The game is supposed to have an anime/cartoonish feel to it, so do not expect the graphic realism seen in Medal of Honor. The colors are bright and vibrant. The characters are well designed and animated perfectly. The surroundings are detailed and easy to move around in. Tatarus' and Labyrinth of Time's backgrounds have a wide variety of creepy settings that match the specific floor that the party is currently exploring. The only complaint that I have is that some of the cut-scenes seemed rushed and poorly animated in "The Journey." However, the animation sequences in "The Answer" are beautifully rendered and more than make up for any rough scenes from "The Journey." The storyline/plot is the best part of the game. I do not want to give any spoilers, so I'll just say that you will actually get emotionally attached to the characters and care about their development. The fact that "The Answer" shows you what happens after the events of the main story is an extremely enjoyable addition. Even after 100+ hours of gameplay, you will still want more. 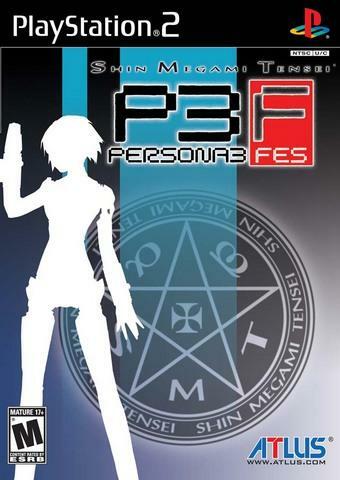 You will not be able to see every aspect of the game, MAX out all of the Social Links, or create all of the Personas (obtain a 100% Persona Compendium) the first time you play FES. Luckily, after the final battle and watching the credits, you have the option to start the game over on a New Game+ setting. This allows you to start the game over with all of your weapons that were attached to the main character or in the inventory (those attached to other party members will be lost), the main character's level, the main character's stats (Charm, Courage, Academics), the Persona Compendium, your Yen, and your Fusion Spells. When you start over, you have the option to choose a different difficulty setting too. FES, which stands for Festival, is basically the Director's Cut of the game. FES includes the original game, now called "The Journey," with the addition of new Personas, new Social Links, new events with friends and SEES allies, a new difficulty mode (Hard), new fusion system (Weapon Fusion), and new requests from Elizabeth. 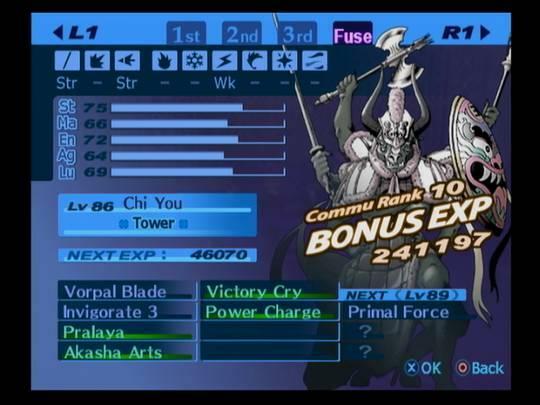 If you have data from a previous game, your Persona Compendium, Fusion Spells, main characters Academics, Charm, Courage stats, and items gained from MAXed Social Links can be carried over. Additionally, it includes a new chapter, called "The Answer," which occurs a month after the events of the original game and provides an additional thirty hours of game-play. "The Answer" is an amazing addition to Persona 3, in which Aigis replaces the main character as the playable protagonist. 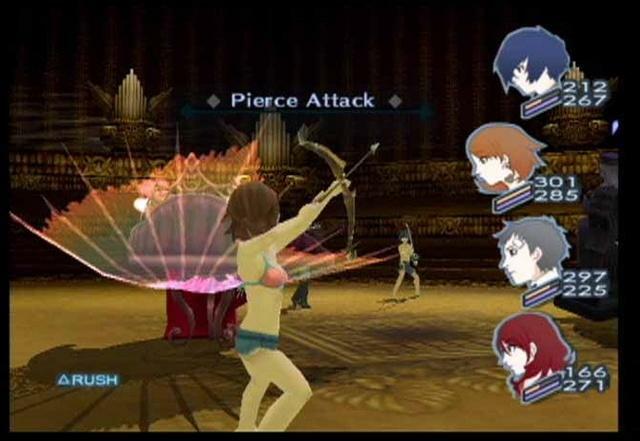 In "The Answer," the Persona Compendium, Social Links, stats (Charm, Academics, Courage), Fusion Spells (no more Armageddon), getting tired or great health, the calendar, weapon fusion, and a few other aspects of "The Journey" have all been removed, leaving exploration of The Abyss of Time (similar to Tartarus) as the main focus of the chapter.